Use healthy sweeteners instead of refined white sugar in your recipes to create nourishing creations that taste amazing! White refined sugar is highly addictive and damaging to the health of our bodies. It is true that this sugar comes from a natural source (sugar cane) but once it goes through the refining process what is left is devoid of any nutrients. All you are left with is that sweet taste... And unfortunately you are also left with a substance that really has no place in a healthy diet. Learn more about all of this by reading my review of THAT SUGAR FILM and then watch this really great film yourself. Yes! Sugar (sweet tasting things) is naturally found in Nature. What is not natural is highly refined sugar and this is what is to be avoided. The idea here is to find a way to satisfy the want for a sweet taste with something that is also full of high vibrational nourishment for your body. Eating refined sugar or things made from that give you an instant gratification of taste but then several hours (to a lifetime) of less than your best health. Instead, read on for some really great healthy sweeteners, alternatives to sugar, that will give you the sweetness you are looking for while also nourishing your body. These are those little packets in the picture at the top of this page. You see them in every restaurant, sold in grocery stores and in many people's kitchens. 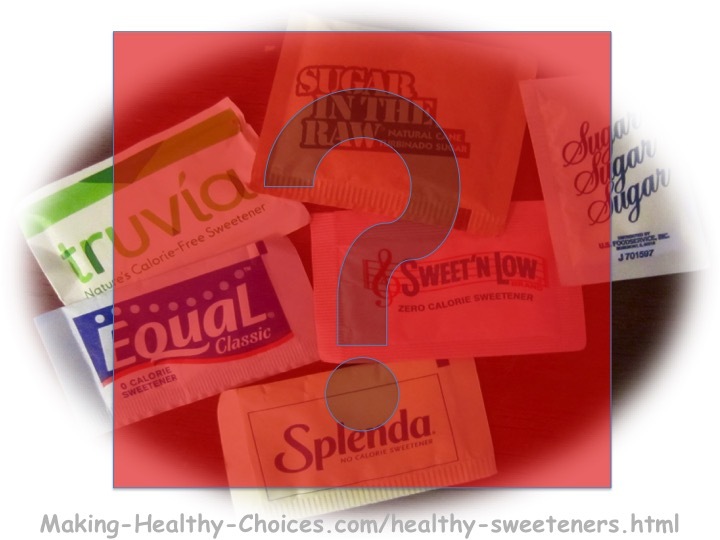 Are they healthy sweeteners? NO!!! These are not in the least bit healthy. They have the word 'artificial' right in their description. This is a HUGE clue - they are not real food. They are artificial, chemical non-food. Our bodies do not recognize these as food in any way and they are highly damaging to our systems on so many levels. Avoid these at all costs. If you want a healthy sweetener choose from the list below. 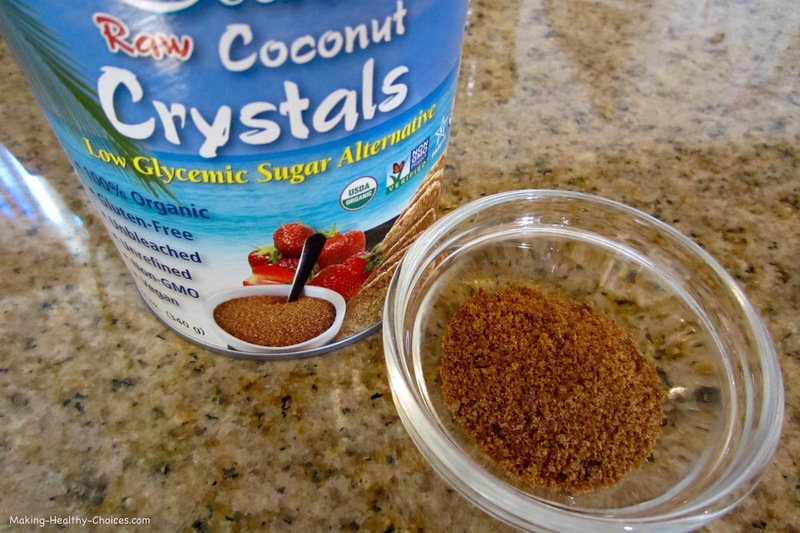 From this list, the ones I recommend for being low glycemic are coconut palm sugar and stevia. Read on for more information about these healthy sweeteners. Nature is full of sweet tasting things. There is really no shortage once you start looking. Nowadays, the only thing that I will use white refined sugar for is to make my homemade body scrub. Other than that, it has no place in my kitchen! So, what do I use instead? Raw Honey (be sure to obtain honey from a compassionate source - the bees are extremely essential to our survival and any honey taken from them needs to be done with no harm to them). Great for helping with allergies and contains minerals and enzymes. Maple Syrup (growing up in Canada, this is a long time favourite!). Contains vitamins and minerals but can cause blood sugar reactions so use in limited quantities. Also available is maple sugar which is the crystallized form of the syrup. 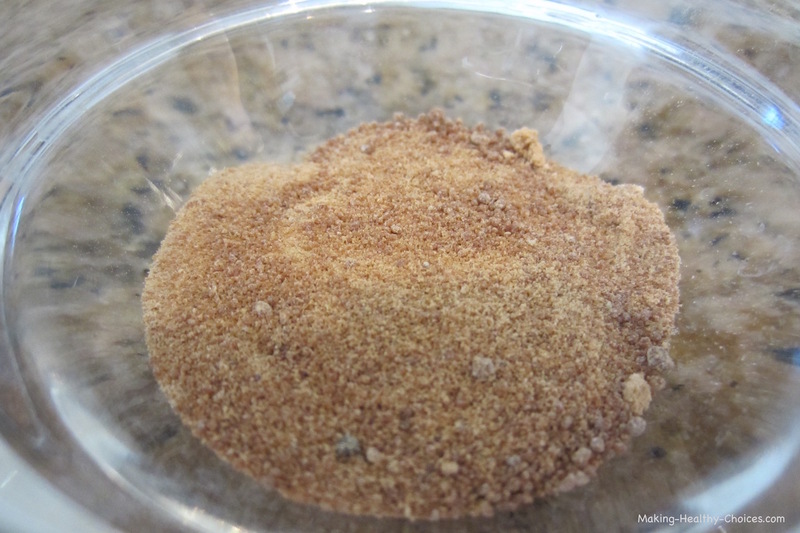 Coconut Palm Sugar comes in crystallized form and looks similar to brown sugar. This is a raw product and is a nice low glycemic sweetener. Dates are the berry of the date palm tree. They are a whole food that is extremely sweet and delicious. There are many varieties of dates all differing slightly in taste and sweetness. They are a nice source of niacin, potassium and iron. Date sugar is the crystallized form of dried dates. Date syrup is easy to make; pit and soak dates in water for at least an hour. Can use the soak water alone for a light syrup or blend soaked dates together with soak water in blender for heavier syrup. Adjust water to adjust heaviness of syrup. This can be made ahead of time and stored in the fridge. Raw Icing Sugar is easy to make. 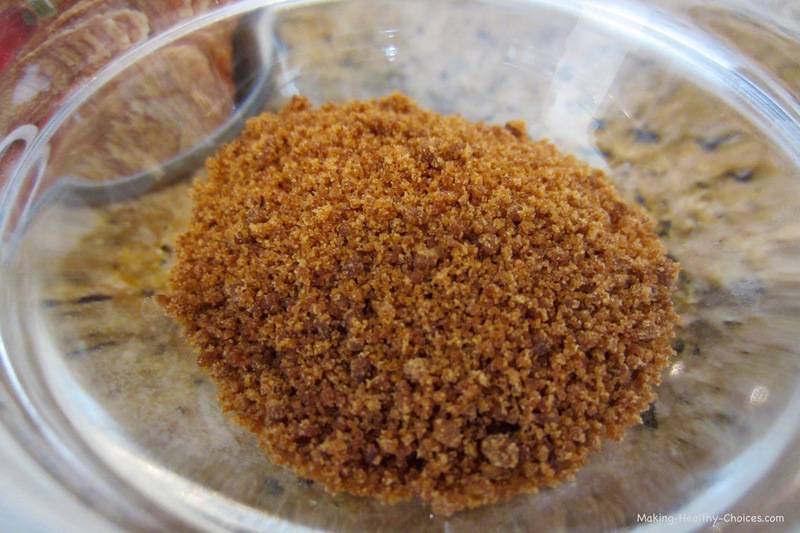 Simply take some of the coconut palm sugar, date sugar or maple sugar (not raw) and run it through a small coffee grinder. You will be left with a gorgeous fine powder that is wonderful to use in any of your healthy recipe creations. Dried Fruits are also a nice sweetener. Things like raisins, goji berries, blueberries, apricots, pineapple, etc. are very sweet and contain all the nutrients (minus the water) of the whole fruit. Obtain dried fruit that contains no added sugar or chemicals, best to make it yourself using a dehydrator. When using dried fruit, it is nice to rehydrate by soaking in water for at least 10 minutes. Powdered Fruits are also a nice sweetener that can vary from very subtle to quite sweet depending on the fruit. A couple low glycemic examples are lucuma powder and monkfruit powder. Whole Fruits and Berries are bountiful in Nature. There is no shortage of great tasting sweet fruits and berries out there. The tastes, textures and sweetness vary depending on ripeness and the fruit you are choosing. Get out there and try some new ones! Stevia is a plant whose green leaves have a very uniquely sweet flavor. These leaves can be used whole or can be easily dried and then powdered down to use as a healthy sweetener. The powder will be green as you are simply powdering down the green leaf. When stevia is sold as a white powder, it is obviously not just the whole leaf simply dried and powdered and I avoid this more processed and adulterated product. Stevia has a very unique flavor and a little goes a very long way, try it and see if you like it.